>Cunningham | Quill Architect’s award-winning Cathedral Heights Residence was recently published in Home & Design Magazine’s September/October Issue. 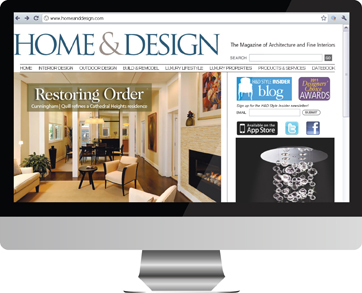 The ten page article highlights our design intent as we created a intimate, yet open space for our clients. To read the complete article online, please visit Restoring Order.